This Campion was nestled in higher plants and was protected from the wind. 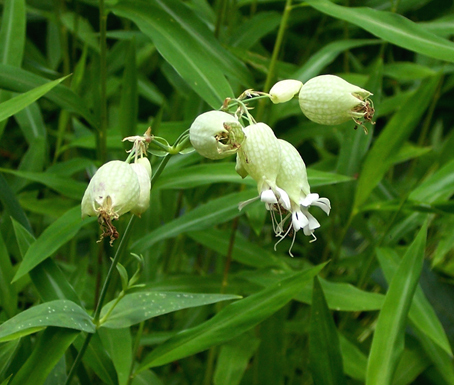 It is a tiny and unnoticeable flower but has an interesting shape. I don’t think it is really native. ~ by Sandra Lynn Gray on September 25, 2007.
beautiful! what an interesting little flower! Thanks. Lack of wind is important to a clearer shot. Just got back from the beach. Have one or two shots (I hope) that are good. It was windy there too, however. Need to look them over and edit first.